The majority of our horses come from backgrounds of abuse and neglect and are at the very core of what we do here at Crystal Peaks. These equines, once broken, lost and hurting, are now doted on by children who have been through many similar circumstances. The experiences of the horses give them the ability to reach out to kids in a unique way, making them what we call "equine counselors." 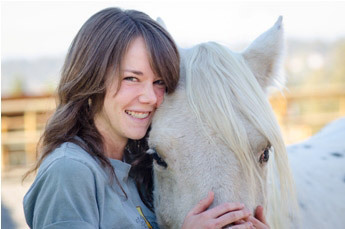 For the many equines who call this place home, Crystal Peaks offers a safe haven, a gentle hand and a life purpose. Our training and riding methods are based on the theories of natural horsemanship, which utilize quietness and patience to communicate with horses in their own language. It is our aim to develop trusting relationships with these magnificent creatures. To become a sponsor, please submit our Horse Sponsorship Form. We will send you a packet of information about your horse right away, as well as quarterly updates. This agreement in no way entitles sponsor to ownership and/or exclusive privileges in any way to sponsored animal or ranch property. 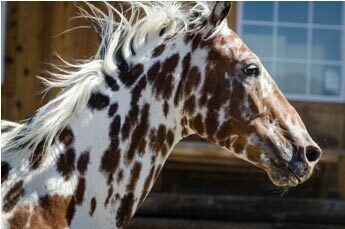 CPYR accepts all liability, expressed and/or implied, for sponsored equine. Sponsor has the right to cancel this agreement with a 30 day notice to CPYR administration. All monies received from sponsor to date of cancellation remain the property of CPYR. Please note that there may be more than one sponsor per equine. This is to ensure that all of our horses are cared for equally, as the funds go into an account to support our whole herd. Crystal Peaks Youth Ranch has been established as a 501(C)(3) nonprofit organization by the Internal Revenue Service. All donations are tax deductible.